Who knew learning was this fun! 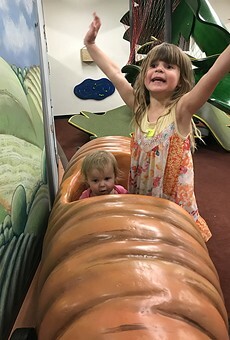 The Children's Museum in downtown Tucson is a perfect place for kids to run around, burn some energy and also learn in the process. From exhibits that teach kids about public safety to the Bodyology exhibit were you can explore in the world of health and wellness with a farmer's market, garden, a juice bar and oversized body parts to examine! And yes parents, it's air-conditioned!